NEW!! State of the Art Sleeping Bag! This will change the way to camp! Garments made with Comfortemp® PCM fabric are less bulky than those made with traditional synthetic insulators and are both fashionable and functional. They can be safely laundered when necessary and do not lose their effectiveness. The bags are completely lined in the highest quality phase change material available. If washed and dried cool, we have found this material to last 10 plus years. By using a two step thermal regulating system, we have achieved comfort at outside temperature, from -20 F to 100F. Developed by NASA scientists for use in space suits, phase-change technology (PCM) absorbs energy to cool the body when it's hot, then releases the stored energy as heat when the body gets cold. 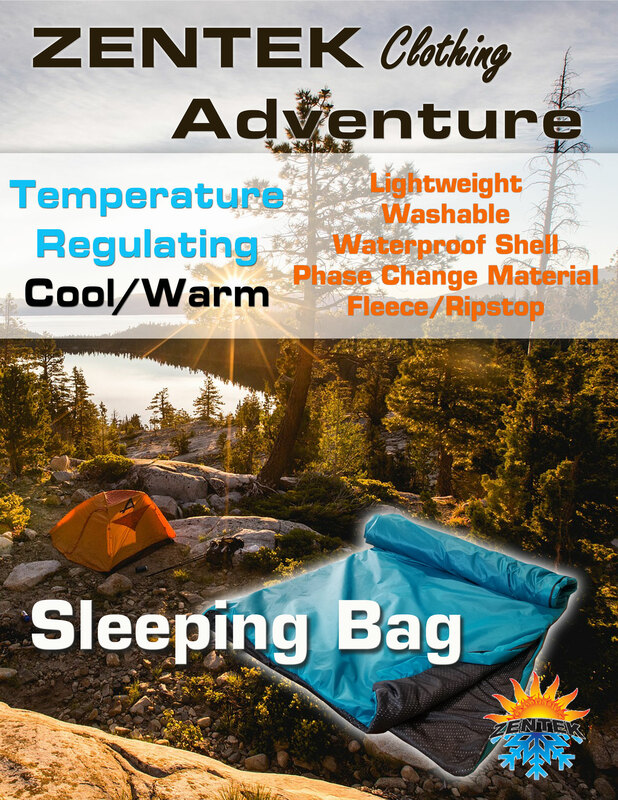 Creating the perfect outdoor enthusiasts must have gear!